When shopping for groceries, it can be hard to keep up with what’s healthy, deciding what to make for meals, and budgeting appropriately. 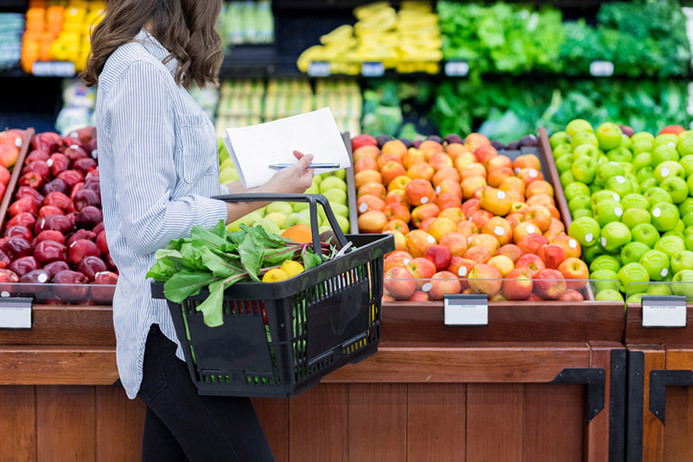 Following a few simple steps can make your trips to the grocery store easier for both yourself and your wallet, and healthier for you and your family. Start Meal Planning – Planning ahead is a great way to save money on your groceries. By deciding on your meals in advance, you can prepare a grocery list and buy exactly what you need for those items. This saves you money and makes grocery trips much faster. Weekly meal planning is the easiest, as it allows you to plan which nights require some cooking and which nights you will have leftovers, and you don’t have to come up with a large selection of meal ideas all at once. Avoid the Middle Aisles and Processed Foods – Healthier items that are less processed and usually lower priced are generally on the outside edges of the grocery store. The middle aisles often include things such as pop, chips, cookies, and other unhealthy treats. On the contrary, the outer aisles typically have meats, fish, bread, and fresh produce. Lower Your Meat Intake and Add Vegetarian Sources – Reducing the amount of meat you consume can help to lower your grocery bill. The price of meat is often surprisingly high due to food inflation, and alternatives are less expensive. Try to have one meatless meal a week, or if you’re more advanced, you can attempt to have an entirely meatless day such as the popular Meatless Monday. Replace the meat with alternative proteins such as beans, eggs, or tofu. Combine Ground Meat with Lentils – Finding a way to make the traditionally expensive ground meat go further is a welcome idea, and adding lentils not only helps to increase the number of servings, but it also boosts the nutritional value of the dish you’re making. Lentils add fiber, protein, and a variety of minerals to your meal and are quite versatile in your ground meat dishes. For instance, you can use a lentil and meat mixture to stuff peppers, in chili, or in your next spaghetti sauce. Do the Prep Yourself – While many stores offer the convenience of already prepared items such as pre-cut vegetables or grated cheese, doing this work yourself can potentially save you up to 50% of the price. Simple things you may not even consider, such as buying whole potatoes and cutting them into fries yourself or purchasing corn kernels to pop yourself can save you money at the grocery store. You are also more in control over what is going into your food when you prepare and cook it yourself. Eat Out Less Often – A considerable expense for some people is going out to eat or ordering in. It is a nice treat and offers a world of convenience when compared to cooking for yourself, but it also adds up quickly. Instead, try to recreate your favourite meals with home-cooked alternatives. Look up recipes for a much-loved dish such as a chicken alfredo pasta or Pad Thai and learn how you can make it at home. When you consume a home-cooked meal instead of something at a restaurant, you are likely to consume fewer calories, less fat, and less sodium. 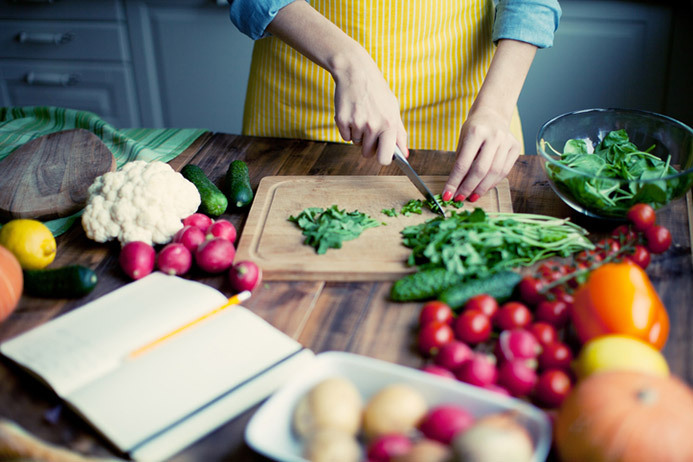 If you enjoy grocery shopping, meal planning, and creating healthy meals for yourself as well as encouraging and teaching others about ways they can incorporate these tactics into their own lives, consider participating in a nutrition program offered by the Edison Institute of Nutrition. For further information regarding our online holistic nutrition courses, from our Introductory Program to our Diploma in Holistic Nutrition Program, call the Edison Institute of Nutrition today at 1-800-456-9313 or contact us to speak with one of our educational advisors.